Primary Care Networks and family doctors are working together to ensure all Albertans have a home base for their everyday health needs. PCNs follow a team-based health care model. 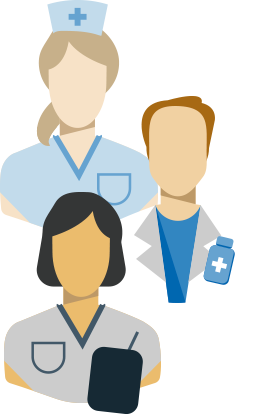 Doctors and health care professionals such as nurses, mental health therapists, social workers and dietitians work collaboratively to provide integrated care for all your primary health care needs. By improving Albertans’ access to a health or medical home, PCNs are building a healthier future for all Albertans. Research shows patients who have a continuous relationship with a family doctor and team are healthier, live longer and are hospitalized less. There are 41 PCNs in Alberta. Together they represent more than 3,800 doctors and 1,000 health care providers & serve close to 3.6 Million Albertans. What Programs & Services do PCNs Offer? Workshops are designed to meet the unique needs of your community and are available to help patients better manage their physical and mental health. Many PCNs offer out of hours or same-day care or support to patients who can't get in to see their doctor. 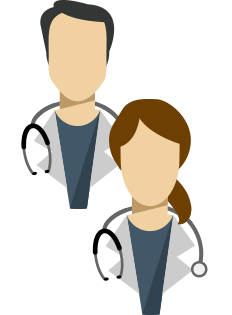 Teams of health professionals such as nurses, mental health therapists, dietitians and social workers support family doctors to ensure patients receive the care they need. Networks of doctors, health professionals and specialists work together to reduce wait times, cut system costs and improve access to care. Click on your region to find your PCN. Strong doctor patient relationships are key to good health. What Impact do PCNs Have? Did you know that research shows patients live longer when they’re connected to a family doctor and team? They’re also healthier as they age, with studies reporting improved health and quality of life. Hospital care costs about $65 billion a year in Canada, making it the largest category of health spending. Having a consistent relationship with a family doctor can help to reduce emergency visits and hospital admissions. When you have a regular family doctor, your knowledge, ideas and preferences are valued and you are more actively involved in decision-making. Evidence shows you will be more satisfied with your care. One of the main benefits of having an ongoing relationship with your doctor is continuity of care. Your health information is transferred between providers and your care is coordinated throughout the system.